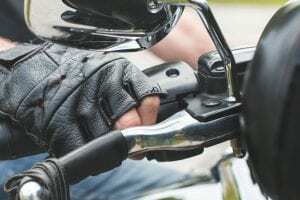 Staten Island, NY (April 5, 2019) – One person was hospitalized following a motorcycle accident that was reported to have occurred Friday morning, April 5th, on the West Shore Expressway. The accident was stated to have taken place on the New Jersey-bound side of the Expressway, in the vicinity of Arthur Kill Road, around 10:45 a.m., according to police. Details concerning the events that led to this incident are sparse. However, officials with the FDNY stated that the crash prompted an immediate emergency medical response. Following the accident, one person was reported to have been immediately transported to Staten Island University Hospital in Ocean Breeze for treatment. The current condition of that victim has not been released at this time. All New Jersey-bound lanes were closed down near Arthur Kill Road, creating severe delays during the emergency response. No further information has been made available as the cause of this accident is currently under investigation. At this time, our most genuinely heartfelt sympathies are wholeheartedly extended to the injured party, first and foremost. We currently maintain our highest hopes for the victims’ full recovery. Motorcycle accidents in New York are often catastrophically injurious or fatal, particularly those which occur at night or at a high rate of speed since there is little protection between the vehicle and the cyclist. While it can be difficult, it is important for a victim to understand that they may have significant rights moving forward.